Lower back pain is relatively common; in some cases, it can even be debilitating. At Brock Chiropractic in Tustin, California, Paul Brock, DC is committed to helping his patients with lower back pain achieve a state of homeostasis in which the body and mind work together toward optimal health. If you’re experiencing lower back pain, call or book an appointment online today. The human spine is a complex structure. 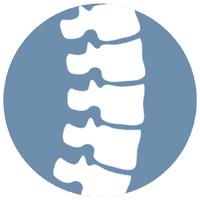 It’s made up of a chain of 26 vertebrae, which are separated from one another by cushion-like vertebral discs that absorb shock and lend the spine its flexibility. The lower back, or lumbar spine, bears the majority of the body’s weight when in an upright position. Approximately 80% of adults experience lower back pain at some point, especially as they age. Men and women are affected equally. Most lower back pain is acute and transient and may be related to an activity, such as heavy lifting, or a sudden move. If the pain is severe, it may require chiropractic intervention. Less severe pain tends to dissipate on its own over a few days or a couple of weeks. When lower back pain persists for 4-12 weeks, it’s considered to be subacute. Lower back pain that has not resolved after 12 weeks is chronic lower back pain. Dr. Brock first examines your lower back and spine using visualization and palpation. If necessary, he can utilize a full array of advanced diagnostic tools, including X-rays, ultrasound, and MRIs, to pinpoint the source of your lower back pain. Depending on his findings, Dr. Brock may use traction to decompress the spine, allowing it to realign and heal. Also, he may employ therapeutic ultrasound therapy to massage the spinal tissues with high-frequency energy; percussion therapy, which uses high-vibration pulses of energy to relax the muscles; and chiropractic manipulation to realign the vertebrae and discs of the spine. He also makes nutritional and lifestyle recommendations to help support the health of your spine. If you are experiencing lower back pain, Dr. Brock and his caring staff can help you find relief, starting with an in-depth consultation, evaluation, and diagnosis.